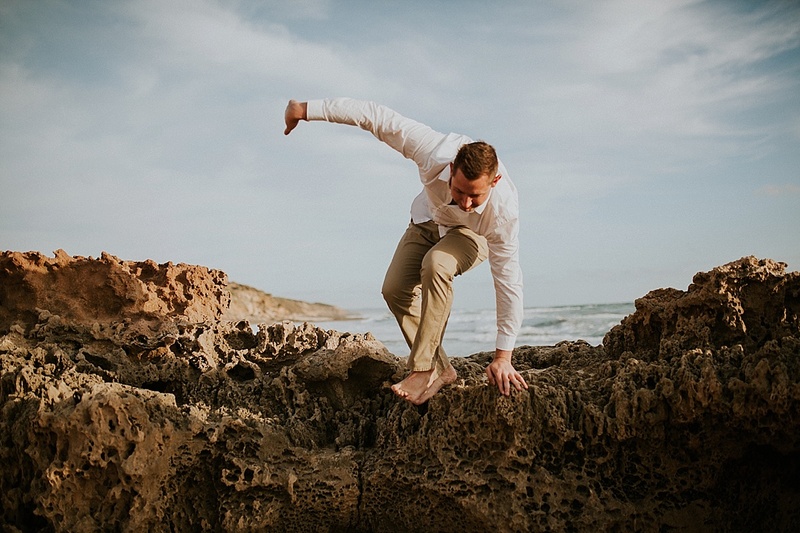 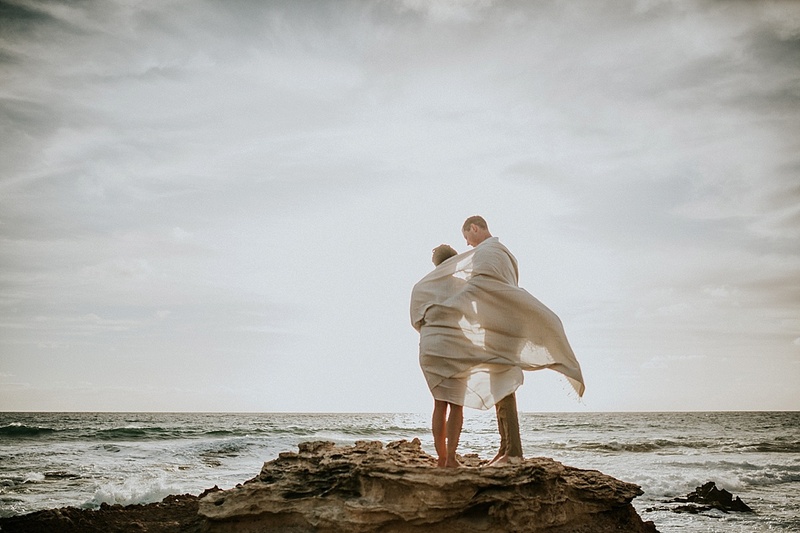 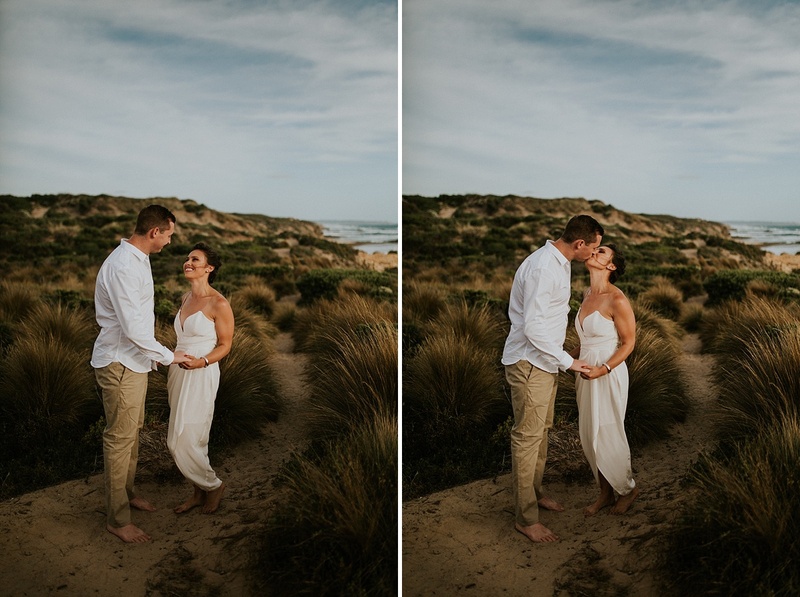 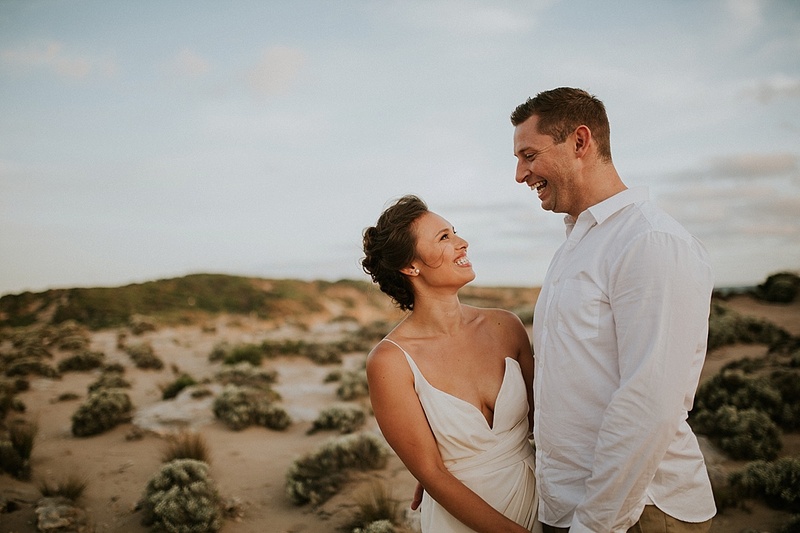 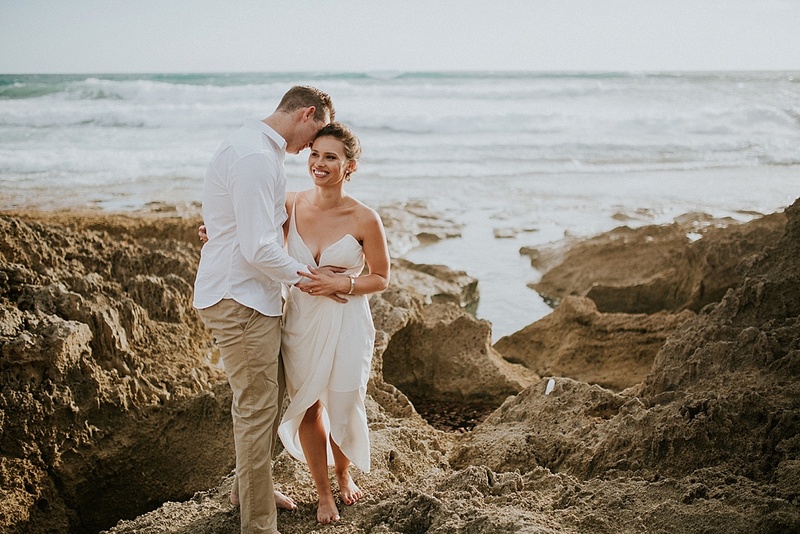 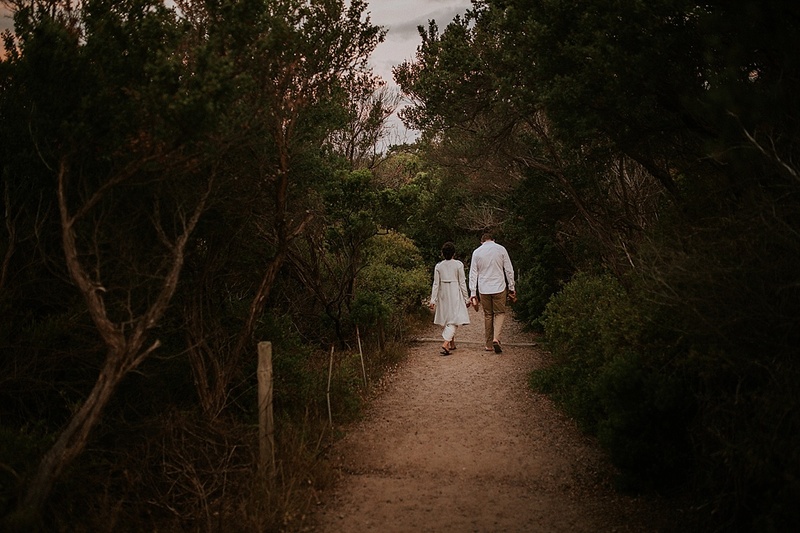 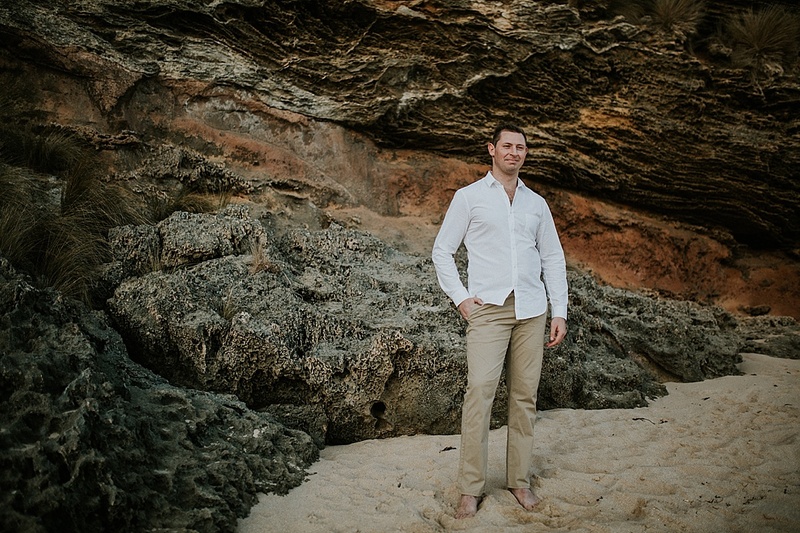 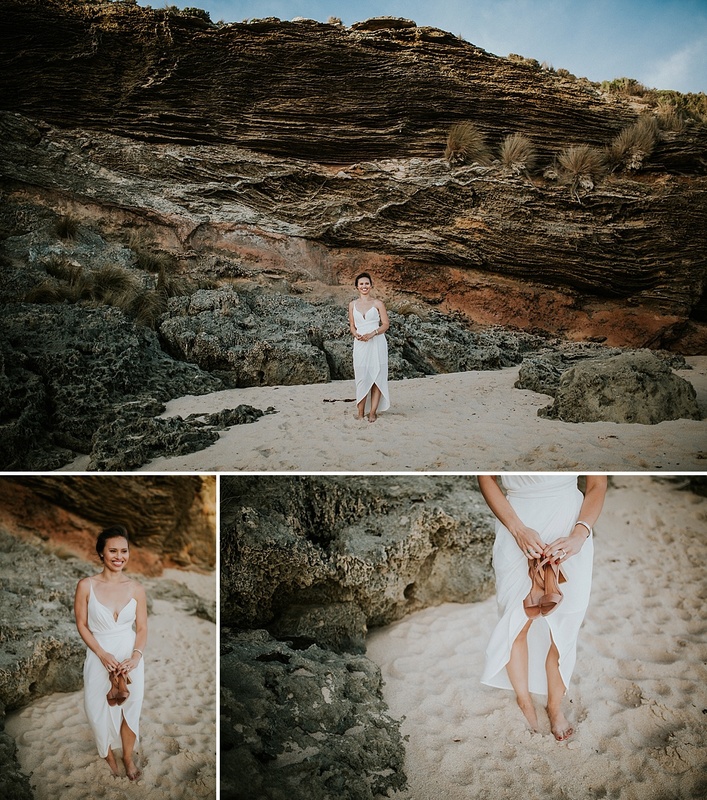 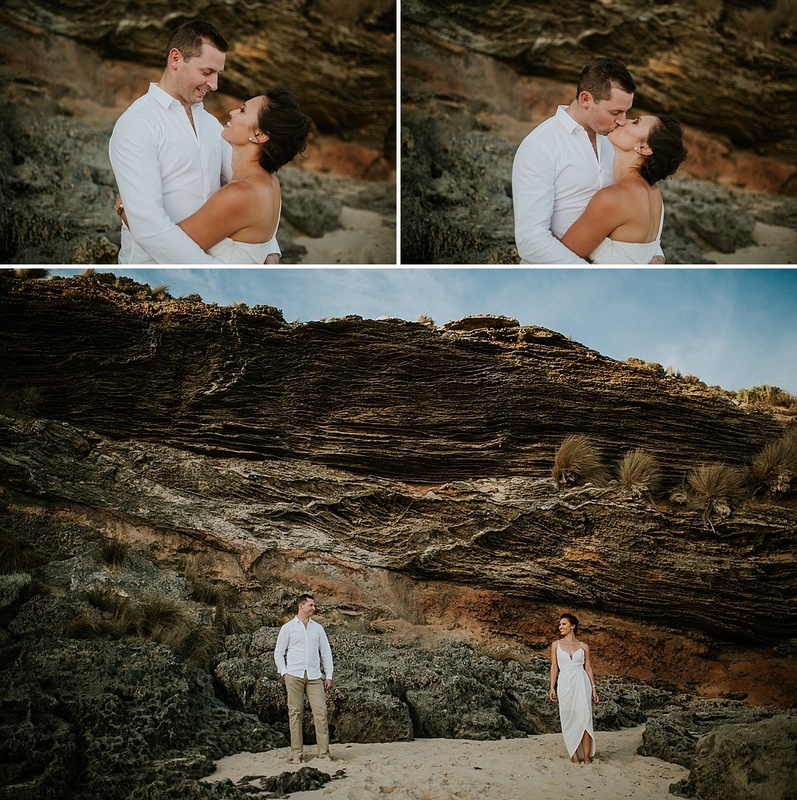 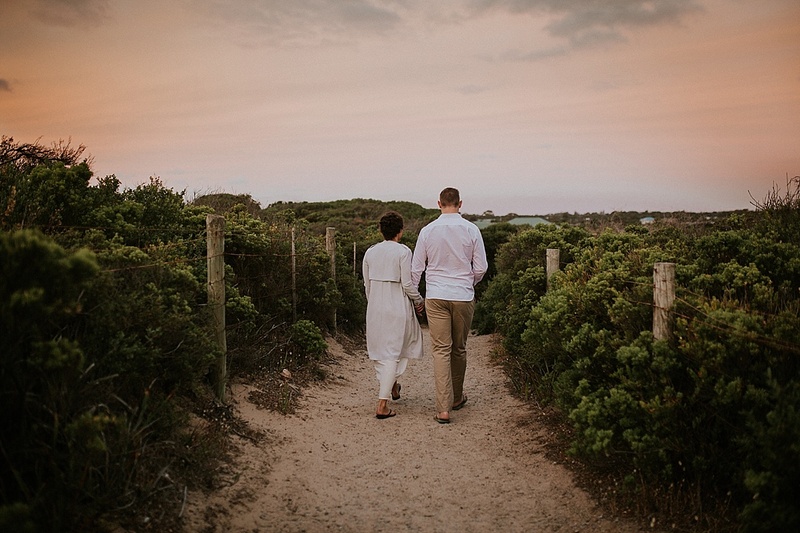 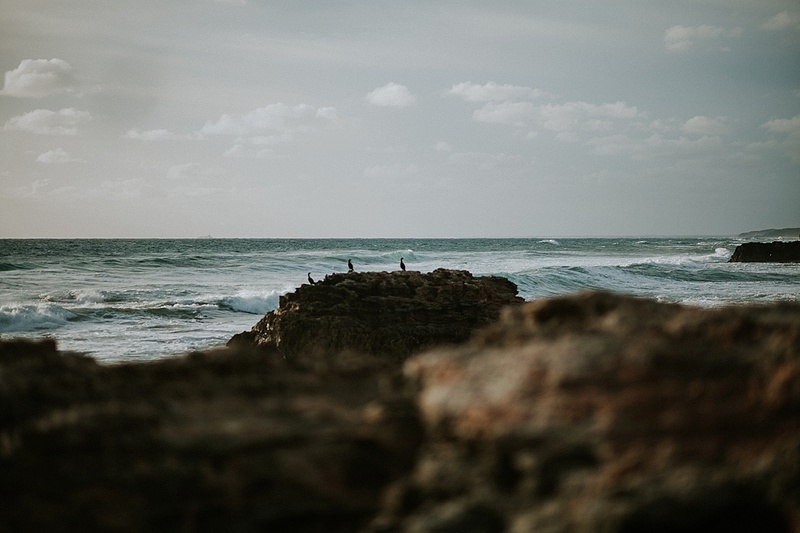 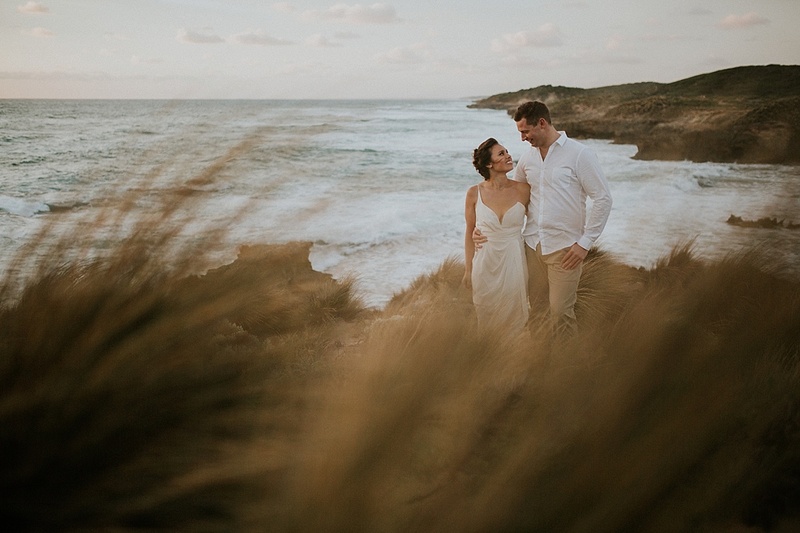 Sand, wind, dramatic cliffs and an astonishing sunset all played part of this amazing engagement session. 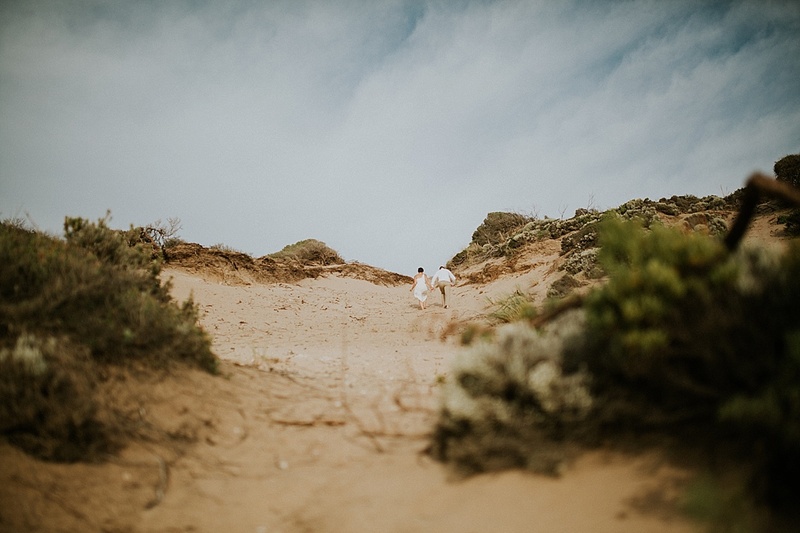 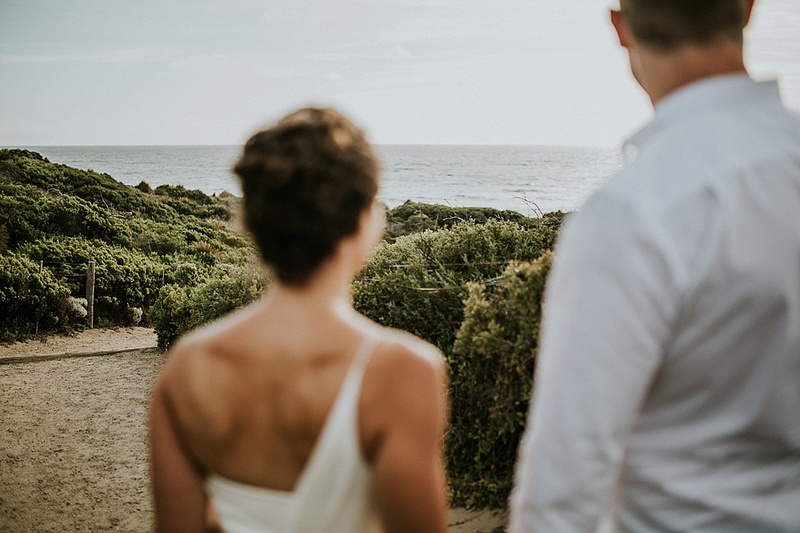 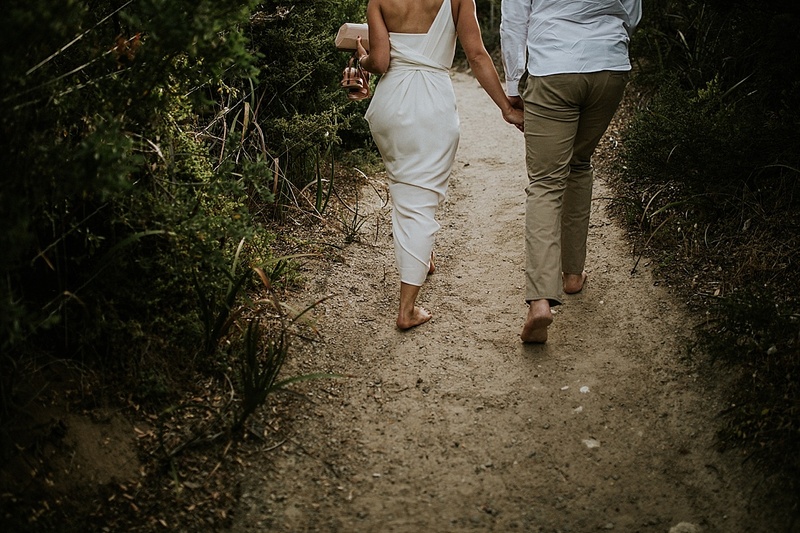 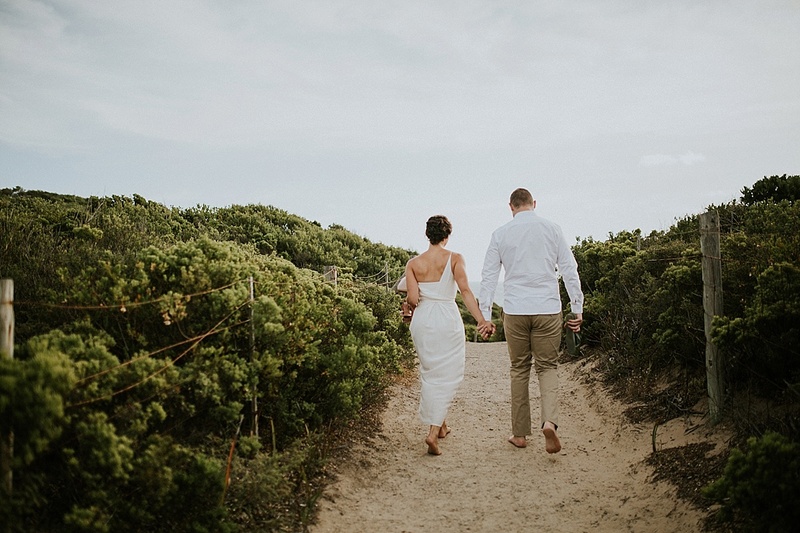 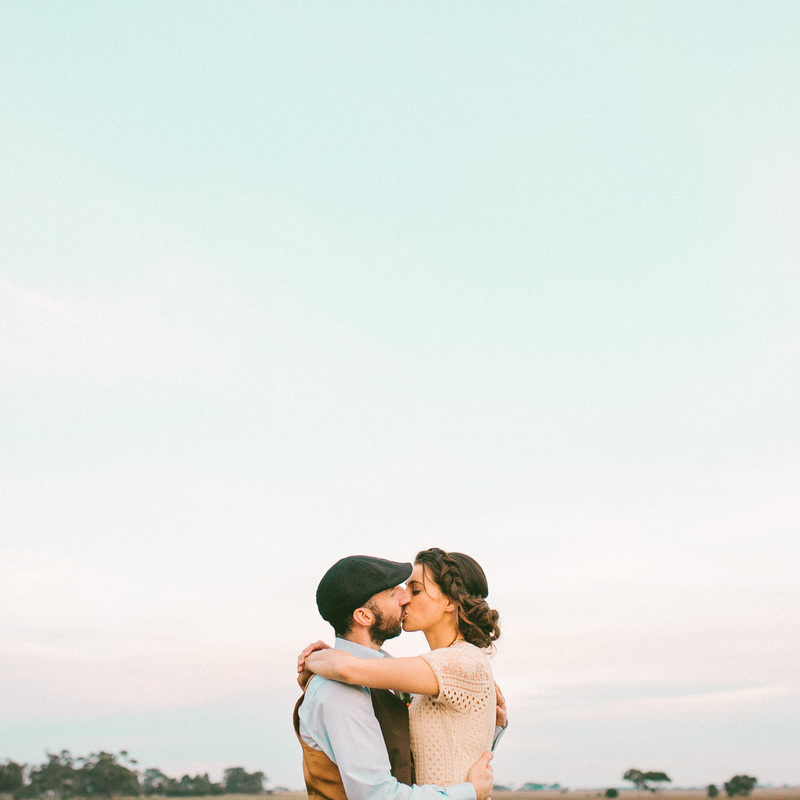 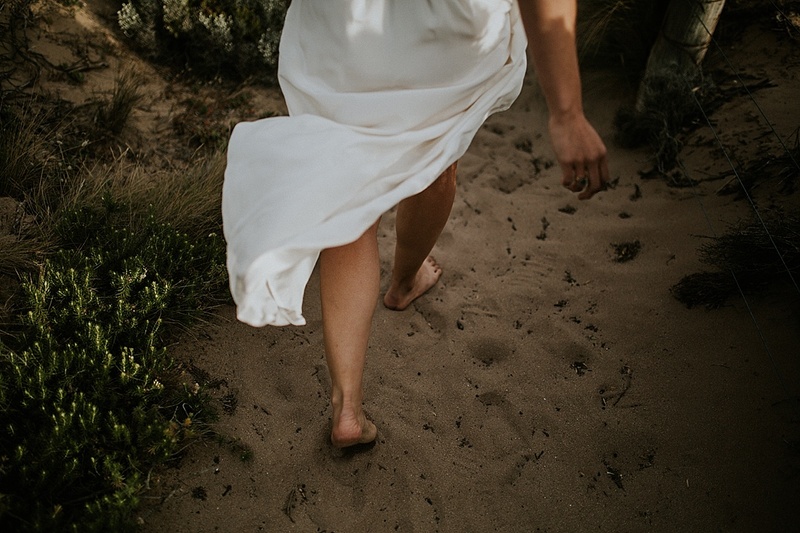 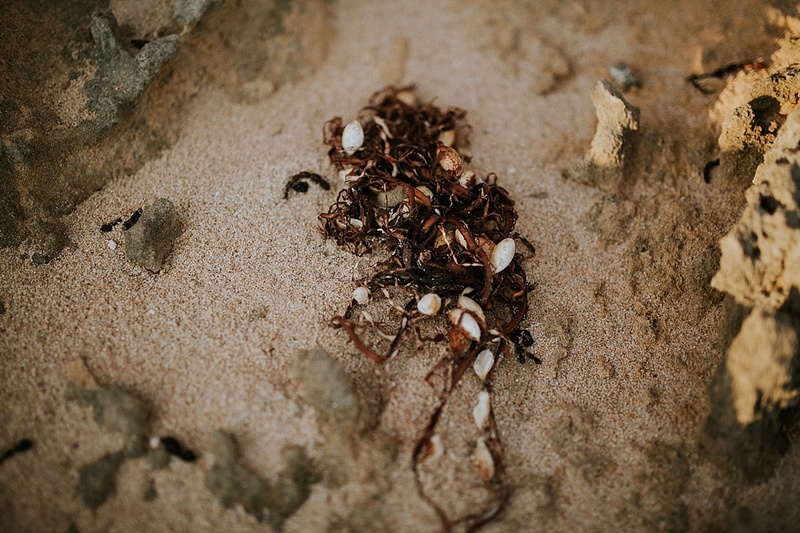 When Zoe & Marc requested a beach for their engagement photos, we didn’t settle for the closest thing with water + sand. 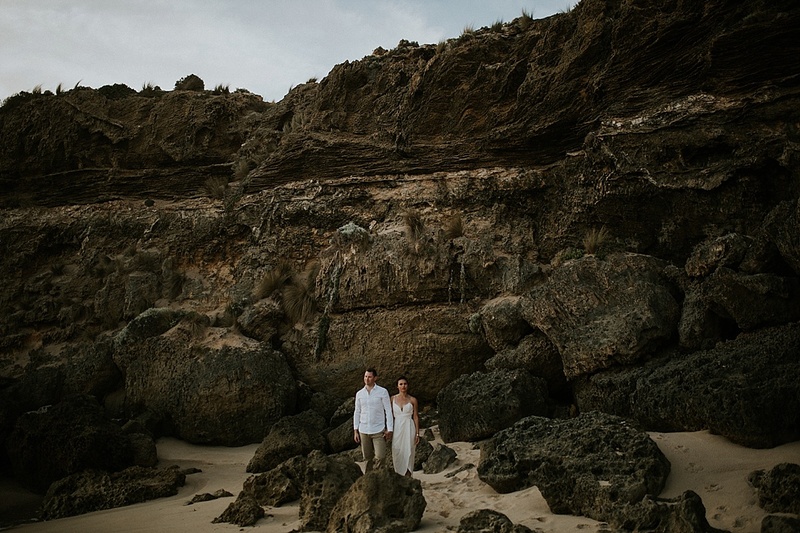 Instead we opted for epic. 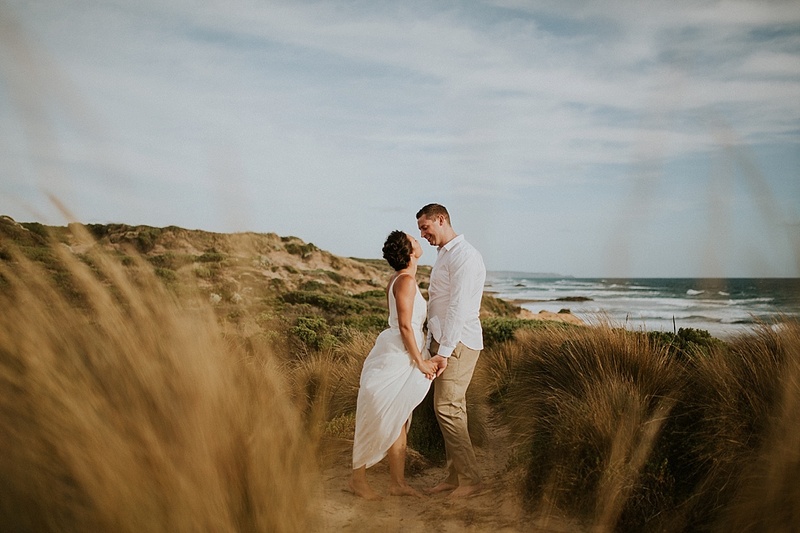 On a warm summer evening we drove down to the Mornington Peninsula and the back beaches of Blairgowrie, we spent a couple of glorious hours.